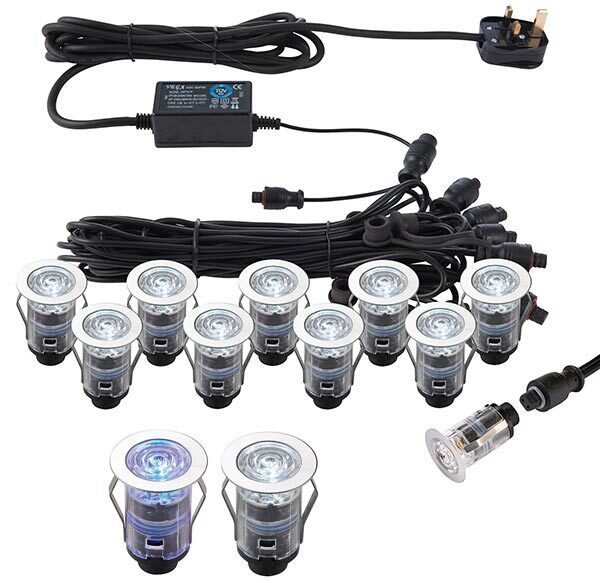 The IkonPro stainless steel 10 light 25mm CCT 6500k or blue LED deck lighting kit is rated IP67 and features a unique design of removable and interchangeable heads. The new Fresnel lenses improve lumen output, diffusing the spread of light evenly. Within each head there is the choice of 6500k (daylight) or 20000k (blue).